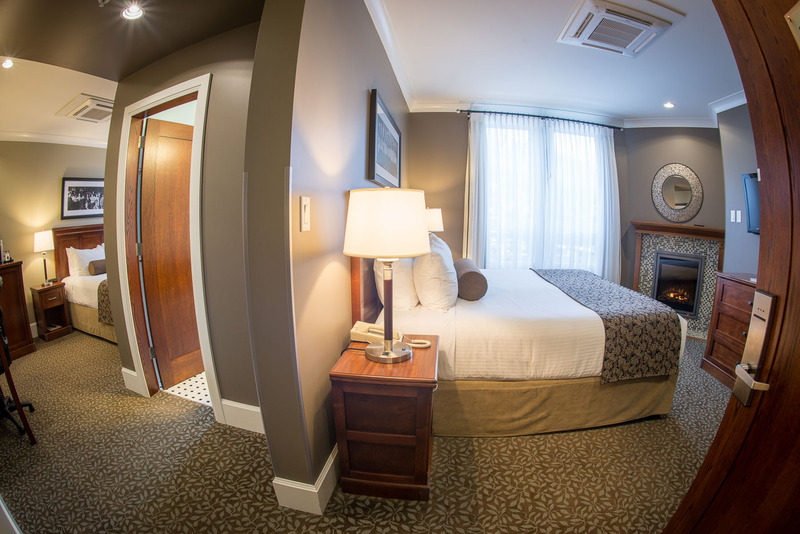 These rooms are unique and popular because the bathroom separates the 2 Queen beds which have their own TV offering privacy and comfort for our guests. They have a desk, small fridge, coffee/tea maker, iron and ironing board. A very spacious King room complete with a sofa bed and a large TV. 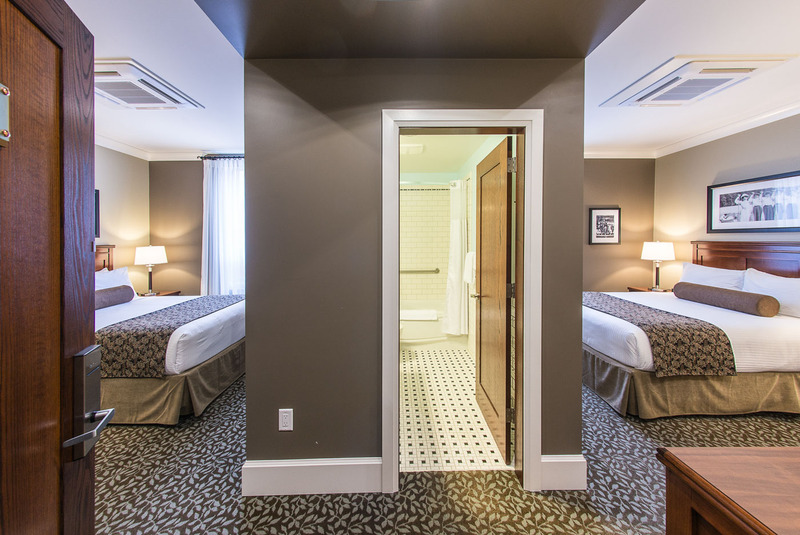 Special modifications have been made to make this room handicap accessible including extra wide doorways and bathroom with the area’s only hotel roll-in shower. It has granite countertops, a fridge, a desk, coffee/tea maker, iron and ironing board. 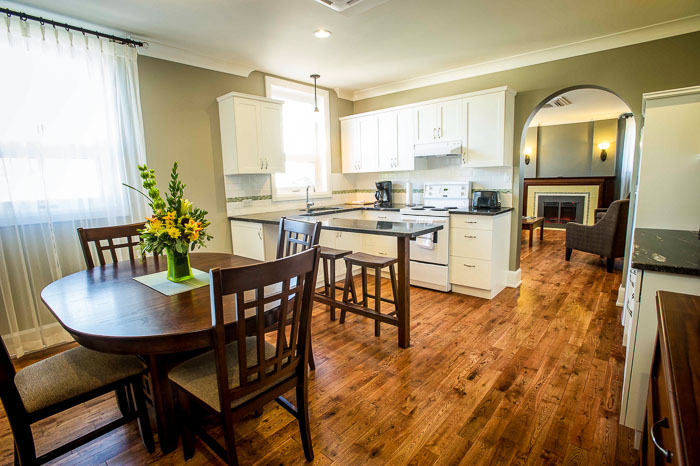 This unique and popular 2nd Floor room has a King Bed and a Queen Bed that is separated by a bathroom which offers privacy and comfort for the occupants. 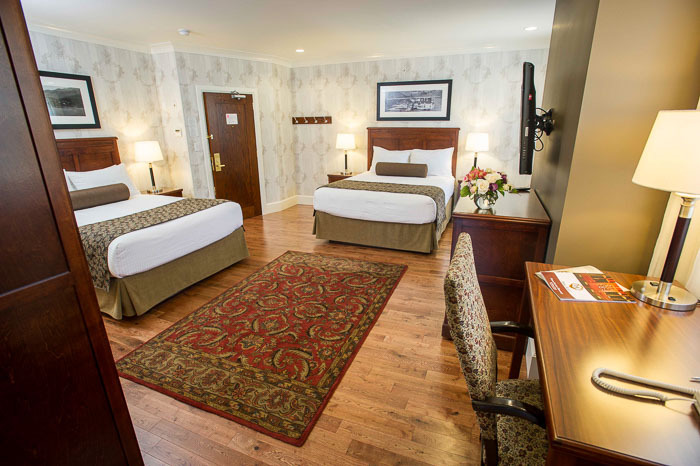 The spacious layout and bed arrangement are truly one of a kind. We discovered an original fireplace behind the wall during renovations and then resurfaced it. Two large TVs, granite counter tops and quality furnishings and bedding make this room a beauty. This is one of the few room types that can sleep six with the 2 Queen beds and sofa bed. The queen beds are split by a wall with separate TVs. A spacious room that offers privacy and comfort for its occupants. It also has a coffee/tea maker, desk, iron and ironing board and a small fridge. Please note to book this room for five or six people you need to call the property directly. Boasting floorplans unique as you are. Vintage style in a comfy traditional room. 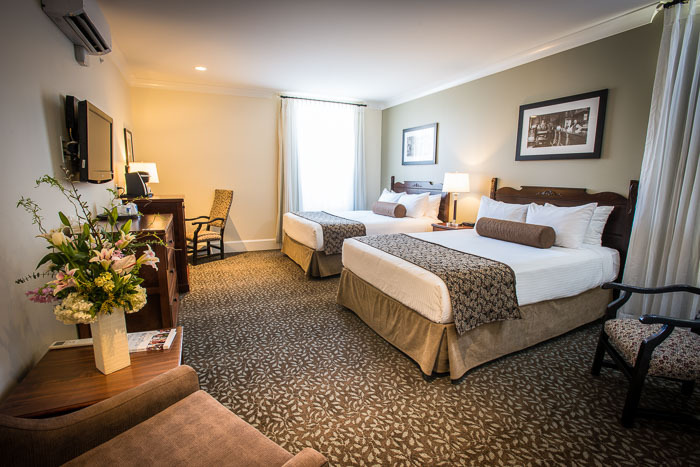 Let our friendly front-desk staff help you choose the best room for your needs.